Addiction recovery centers and rehabs for men and women, including the lowest cost substance abuse recovery centers and drug rehabs – Christian drug addiction programs and addiction treatment centers. Our addiction and alcoholism centers have for 60 years been among the lowest cost rehabs in the nation, with a recovery rate that is earning the praise of government and civic leaders alike. If you or a loved one needs help, call us toll-free for a no obligation consultation. Are you seeking a final solution for yourself or a loved one who’s life has been ravaged by addiction or alcoholism? Adult & Teen Challenge drug and alcohol addiction recovery centers are perhaps the most affordable and effective option. We work with the whole person, solving the underlying initial causes of addiction, getting these addictive substances out of the individual’s system and giving enough time, encouragement and training to make sure the addiction doesn’t return. We offer the complete and final solution. For the past 60 years, Adult & Teen Challenge drug addiction recovery centers have been providing an affordable, long-term addiction solution across America around the world. We commit to working with the individual for a full year, not a few weeks or months. Our success in recovery has made us largest network of addiction recovery centers in the world. We are affordable due to our nonprofit status, and because we receive support from the community. If the life and career of a loved one is being destroyed by addiction or alcoholism, don’t look for a quick solution — look for one that will last! Contact us today. Freedom from addiction or alcohol can be found here, and without draining your bank account. Comments: If you are seeking a low cost, home-like Christian rehab near Fort Myers, Florida, please call. Comments: Affordable Christian substance abuse recovery center for women in Pensacola, Western Florida and Southern Alabama. Comments: Christian rehab for women serving Western Kentucky and areas around Nashville, Tennessee with addiction recovery. Comments: Tallahassee, Florida area Christian rehab for adult men from the Florida Panhandle, Northern Florida and Southern Georgia. 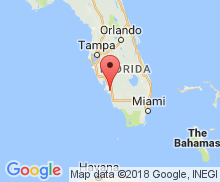 Comments: Fort Meyers, Florida Christian rehab for adult men from Southern Florida including: Naples, Cape Coral and Bonita Springs. Comments: South Carolina addiction recovery center for men from cities like Orangeburg, Horrel Hill, Irmo, Lexington, Lugoff, Sumter, Camden and Cay. 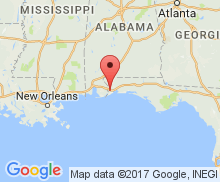 Comments: Pensacola, Florida addiction recovery center for men from the Florida Panhandle including Bellview, Contonment, Pace, Navarre, Gulf Breeze, Orange. Comments: Addiction recovery center for men in Western Kentucky, including: Cape Girardeau, Owensboro, Evansville, Mt. Vernon, Henderson, and Nashville. One of the major differences is the amount of time that Adult centers dedicate to each individual. Recovery here is further reinforced by a supportive peer community — a controlled environment where new positive habits are formed, mentoring by others who have walked the same path to freedom. Individuals also participate in work designed to teach humility and responsibility. They earn the pride in a job well-done. This process all takes a full year to take its course…a full year that we dedicate our lives to your recovery. Don’t Select an Addiction Recovery Center Until You’ve Talked to Us. What is the Length of the Rehab? While other rehab centers boast a “quick fix” to addictions, few are successful so the addict must come back again and again. Adult & Teen Challenge programs have no such revolving door — they focus solely on what it takes to rid the addict of their addiction for life. They know that it can take a year or more for addicts to completely rid themselves of their addiction, to build new attitudes, and to change their lifestyle. Any less than that is a waste of everyone’s time and money. Many addicts attend a dozen or more rehabs before coming here. They destroy their carrer, finances and relationships all along the way. So, why not start with the right solution to begin with? How Much Does This Rehab Cost? Each program sets its own fee schedule, but you will find that the cost is just a fraction of what most rehabs charge. Please call (855)934-4673 for the current pricing and availability. Does Insurance Cover the Rehab Cost? Individuals in the program are welcome to submit the related fees to their insurance carrier, but to be honest, few are successful. Most insurance carriers prefer to see the individual in a rehab for 90 days or less, no matter what it costs. Longer than that doesn’t seem to work within the way insurance companies operate. In many cases, they therefore pay big fees for the addict or alcoholic to attend one rehab after another, never providing a real solution. One exception is the Teen Challenge program in Arkansas for addicted teenage boys, which does work with insurance companies. Most Adult & Teen Challenge programs require that the addict goes through detox first – preferably a medically supervised detox – prior to entering the program. Most communities have detox centers that the Adult & Teen Challenges will recommend. It This a Lockdown or Involuntary Program? None of the Adult & Teen Challenge residential programs are lock-down facilities; residents must come and stay there voluntarily. As for teenagers, some adolescent programs work with youth who have been enrolled by their parents or guardians, and they must stay in that program until their parents or guardians take them out. However, even in those instances, an understood level of cooperation with the teenager must exist prior to admission. Your information will be kept confidential and never sold or given to any other addiction recovery center. We can also help you in your search for other best rehabs, rehabs, addiction rehabs, rehabs near me, Christian drug rehabs or Christian drug abuse treatment centers. Finding the right alcohol and drug rehab is one of the most important decisions for an addict. It is important to understand everything you can about substance abuse recovery centers and drug recovery centers. Christian rehabs usually offer separate facilities for each gender. Insurance for addiction recovery forces drug addiction rehabs to complete their addiction recovery in 90 days or less, which usually doesn't work. Adult & Teen Challenge Centers are a long-term addiction recovery program and facility that is affordable, serving men and women from Florida, Georgia, North Carolina, South Carolina, Alabama, Kentucky, Arkansas, Oklahoma, Texas, Tennessee and Virginia.